Mac kernel panic when Parallels Desktop is launched (do not even matter if you run virtual machine or not). Usually Mac restarts after running Parallels Desktop for more then 5 minutes, but no exact time. MacBookPro uses old GeForce GT216 graphics card. 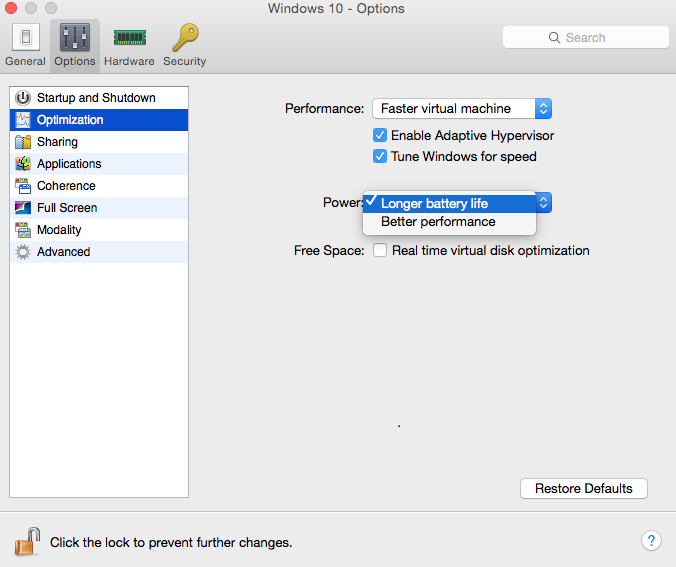 Open virtual machine configuration > Switch to Options tab > Optimization > Set power scheme to Longer battery life. 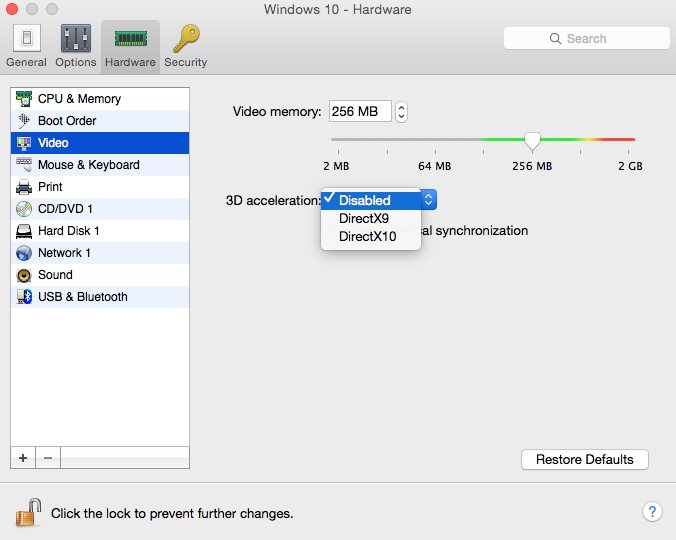 Disable 3D acceleration by going to Hardware tab > Video > And choose Disable in 3D acceleration pop-up menu. In case the issue still persist after performing steps above, disable switches to discrete graphics card.